We first heard about the Life Insurance Company of Alabama because it is an option among the different companies that help veterans transition from SGLI into a select few commercial companies offering individual policies, rather than into VGLI. History – In 1927, Colonel Clarence W. Daugette Jr, the founder of Life Insurance Company of Alabama (LICOA), decided to enter the life insurance industry where he worked as an agent. During World War II, he served for the country before coming back into the industry and launching Life Insurance Company of Alabama in 1952. Sadly, ‘The Colonel’ has since passed away but his legacy lives on and the company provides numerous types of insurance. Over the years, the products have developed and now, alongside life insurance, there are also options for dental insurance, accident insurance, critical illness insurance, cancer insurance, disability insurance, hospital indemnity insurance, and vision & hearing insurance. Today, LICOA operates within eleven southeastern states including Georgia, Florida, Kentucky, South Carolina, and Mississippi. In assets, the company owns over $100 million and they’ve paid $38 million in benefits in the last two years alone. For the markets in which they operate, the finances look strong and it’s always good to see companies paying out their claims as they’re expected. With 65 years in the industry, no company can survive this long if they didn’t have solid working practices. 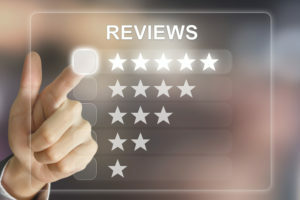 With every life insurance review, we like to take a look at the financial agency ratings from the likes of A.M. Best, Fitch, S&P, and Moody’s. As impartial financial ratings services, it allows us to get a better idea for their position within the market rather than trusting the figures of the company alone. A.M. Best – Towards the beginning of 2017, A.M. Best actually refreshed the review for Life Insurance Company of Alabama and they currently sit at B++. Is this any good? Well, there are two schools of thought on this because one group will tell you this isn’t good enough. For a life insurance company, they believe the absolute minimum is A- because this instills confidence and suggests they’re in the industry for the long-term. On the flip side, you’ll also find people who are more than happy to take a B++ because it’s just one step away from the A- grade. Considering they only operate in eleven states, as opposed to the largest companies who operate across the country, we’d be tempted to agree with the second group today because a B++ rating still shows a lot of potential. Furthermore, the history is another factor to consider since they’ve seen a lot of changes over the years and survived some rocky times. Better Business Bureau (BBB) – Unfortunately, A.M. Best is the only financial agency with a rating for Life Insurance Company of Alabama but we can look at what the Better Business Bureau has to say. In case you didn’t know, the BBB is well-known for assessing the customer service side of the business. As well as reviewing the amount of complaints a company receives, they also look into their business practices and whether there has been issues with their advertisement in the past. As an accredited business profile, LICOA has the very best rating of A+. On a scale that goes all the way down to F, an A+ is certainly a reason to smile and a reason to trust the brand alongside their solid finances. With this in mind, let’s review the available policies to see if they meet your needs. As mentioned previously, Life Insurance Company of Alabama offers a number of different insurance products and we’re going to take you through them all today. Of course, the main focus will be on life insurance and this is where we’re going to start. Unfortunately, Life Insurance Company of Alabama doesn’t actually release a large amount of information regarding their different types of life insurance policies because they want you to get in contact and speak with them personally. However, they do offer both term life vs permanent life insurance coverage. Term life insurance available, your premiums will remain fixed for the duration of the term, then increase over time. Compared to permanent insurance, term is the more affordable life insurance solution and it helps to cover those short-term costs you might have whether this is an auto loan, home mortgage, any outstanding debt, or educational expenses. As with all term life policies, you can choose from a selection of coverage amounts before then naming a beneficiary. If you’re to pass away while under the term, your beneficiary will receive a lump sum death benefit. If you outlive the policy, the coverage will expire and you’ll have to renew annually. Alternatively, if it is convertible term life insurance, you can convert the policy to a permanent one before the term expires. With permanent life insurance you can choose a coverage amount and this will stay in place until you pass away. Over the years, the premiums also remain level which is great for financial planning. When premiums are vulnerable to increases, it makes financial planning tough; especially through retirement. According to LICOA themselves, this policy is perfect for contributions to charity, final expenses, business legacy, the financial needs of your loved ones after passing away, and estate planning. Let’s not forget, permanent policies are cash value life insurance, so this is another bonus. As you get older, you might be able to use this to pay your premiums or even take a life insurance loan using the cash value as collateral. Dental Insurance – If you’re to choose a dental plan with Life Insurance Company of Alabama, you’ll receive coverage for several preventative services and this includes x-rays, cleaning, and oral examinations. Whereas some insurance companies expect you to visit a certain professional, LICOA allow you to visit any across the country because you won’t be limited by a network. What’s more, you can install coverage for the whole family. Cancer Insurance – Nowadays, it seems as though we all know several people who have been affected by cancer either directly or indirectly. As well as placing a strain on the body, cancer can also place a strain on the finances too. Nowadays, the word ‘cancer’ doesn’t carry with it the death sentence it once did but the treatment is still expensive. With health insurance companies placing caps on the amount they pay, it might be wise to purchase this extra protection just in case. Accident Insurance – If you happen to get injured, the costs of care can quickly add up. Not only will you need emergency treatment, you’ll also have to pay out for medical check-ups, hospital stays, transportation, and even equipment. While we like to control as much of our lives as possible, we can’t prevent accidents because, by its very definition, its not something for which we can plan. Disability Insurance – If you lose a couple of days to illness, the difference on your pay check can be significant if you aren’t on a salary. Therefore, have you ever stopped to think what would happen if you were to be disabled by an illness or injury? When looking to protect our assets, we often forget one of the most important; our income. That is where disability income insurance comes in. If you get injured, your income reduces to almost nothing while your expenses go through the roof which means it won’t be long before you’re in debt. With long term disability insurance, it keeps your income protected and allows you (and your family) to maintain your current standard of living regardless of what happens. Critical Illness Insurance – Although similar to the policies we’ve already seen, Critical Illness Insurance protects against the big health conditions that provide a genuine threat to life and this includes major organ transplants, heart attack, stroke, cancer, heart surgery, and kidney failure. Vision & Hearing Insurance – Just as the name suggests, this penultimate insurance policy protects your eyes and ears. According to a recent study, over 11 million lives are affected in America in visual impairment alone and these are two senses that will severely affect your quality of life and ability to earn in some cases. Hospital Indemnity Insurance – Finally, this is a plan that allows you to receive a certain amount of money per day if you’re restricted to the hospital for any reason. Depending on the coverage, you might receive the money directly or it might go towards the provider so you can free your own money to spend as you need. So, with all the products covered and we’re happy with their official ratings, let’s finish with a few lines on their customer service. Nowadays, this is super important because you need to be confident you can contact the company with any questions or concerns. Luckily, Life Insurance Company of Alabama is very much with the times as far as customer service goes. Not only do they offer a mailing address and an email address, the best thing about choosing LICOA is the several phone numbers and fax numbers you can use to get in contact. With these numbers, you can contact the right department directly rather than worrying about your fax or phone getting lost and wasting your time. I had Oral cancer about 2 yrs after getting policy and every claim covered was paid within 2 weeks. I developed bladder cancer about 8 weeks ago and when I submitted itemized Dr. And Hospital statements I received payment within 10 days. Could not be happier with this Company. Previous Post: Rome2Rio App Review… Save a Buck, Discover an Adventure! Next Post: Qualifying for Life Insurance after being prescribed Atenolol.